Lake Woodruff National Wildlife Refuge is a migratory bird refuge. There is no admission charge and the the refuge is closed at sunset. It is located in the western part of Volusia County near the community of DeLeon Springs (Grand Avenue, approximately one-half mile west of DeLeon Springs.) 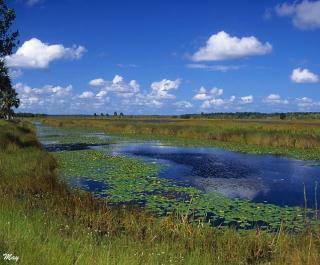 The famed St Johns River forms the western boundary of the 21,500-acre refuge. 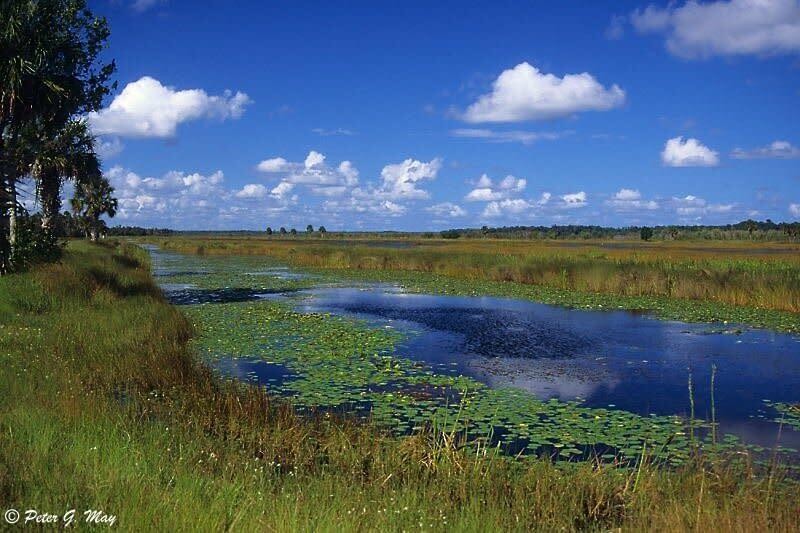 Habitat varies from marsh and swamp to creeks and lakes to upland areas. Much of the refuge is accessible only by boat (airboats not allowed). Canoe rentals are available from nearby DeLeon Springs State Recreation Area. Most birders, however, arrive by automobile, and hike or sometimes bike the miles of man-made dikes that form the pools. The pools attract marsh birds and waterfowl throughout the year, especially in the winter months. Other trails, roads and firebreaks, also open on a year-round basis, can be equally rewarding. Woodruff is one of the key spots in the state where the lucky birder may spot a limpkin. The bird count at the refuge is 215 species, exclusive of accidentals. Fishermen enjoy bank fishing for bream, bluegill, specs, largemouth bass and jackfish. A Florida freshwater fishing license is required for persons 16 or older. The refuge proper is reached via Mud Lake Road, immediately south of headquarters at Lighthouse Church, which crosses Audubon Road and a railroad track, to arrive at the refuge parking lot. There are no campgrounds, concession store or picnic areas. Chemical restroom facilities. Pets and horses are not permitted. For more information, call (386) 985-4673.